When it comes to air purifiers, only a few brands come to mind; Sharp, Panasonic and the not-often-heard-of Coway. 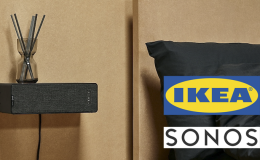 These brands are household names and mostly the ones you find in Malaysian homes. 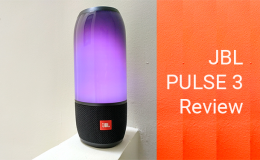 Well another company has come along and has released their second air purifier to the market. 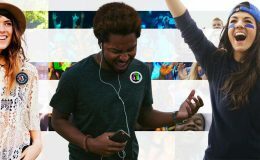 That company is the maker of the Mi phones. 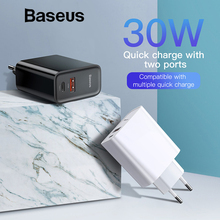 Yes, Xiaomi. 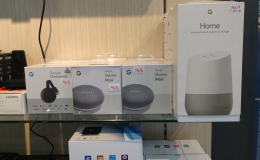 You wouldn’t really relate Xiaomi with air purifiers but they have a huge range of home products ranging from smart lightning, rice cookers and a washing machine to robot vacuums. 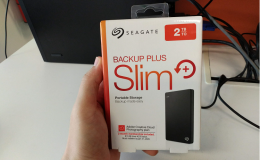 This review is abit late considering that it was released way back in November 2015 in China . But hey, better late than never. 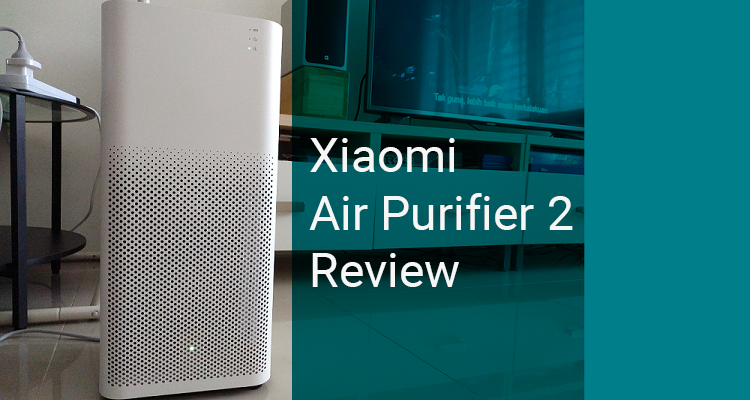 So on with the review of the Xiaomi Air Purifier 2! The Air Purifier 2 has got it sorted in the looks department. It is white and stands tall at 52cm and has a depth of 24cm . 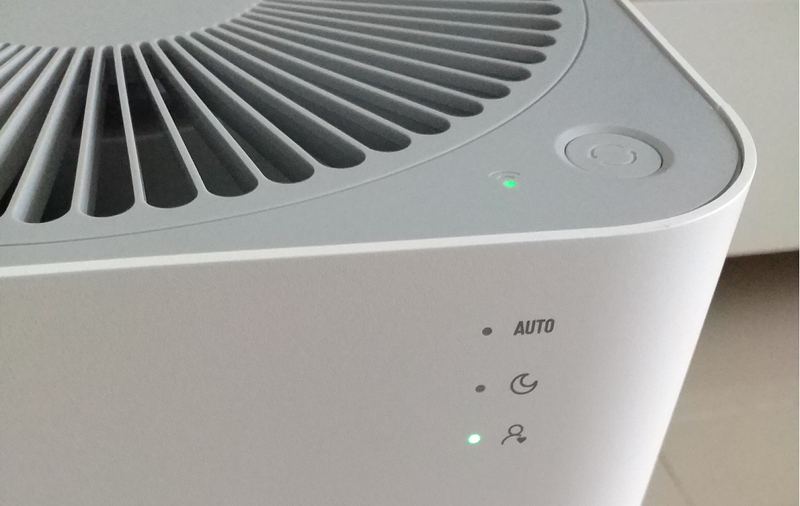 This air purifier has three intake vents that’s present at the front, and at both sides. They’re designed in a way that ‘disappear’ as they flow up. Very slick indeed. The Power/Function button is located at the top while the 3 mode indicators are at the side; Auto, Sleep, Favorite. 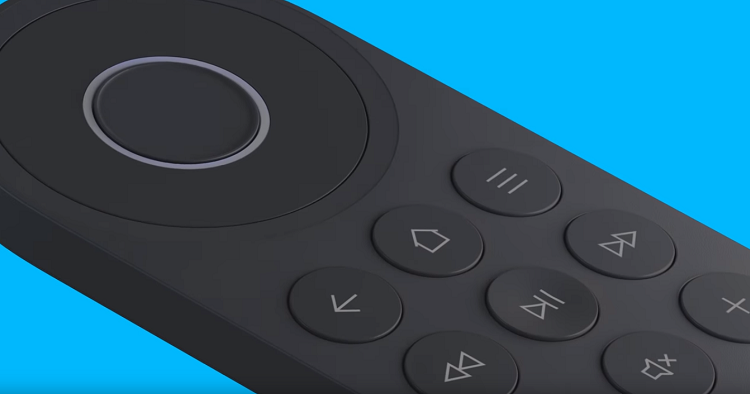 Top: Power/Function button. Side: Auto, Sleep, Favorite mode indicator. Setup was straightforward but there’re a few things to take note off. 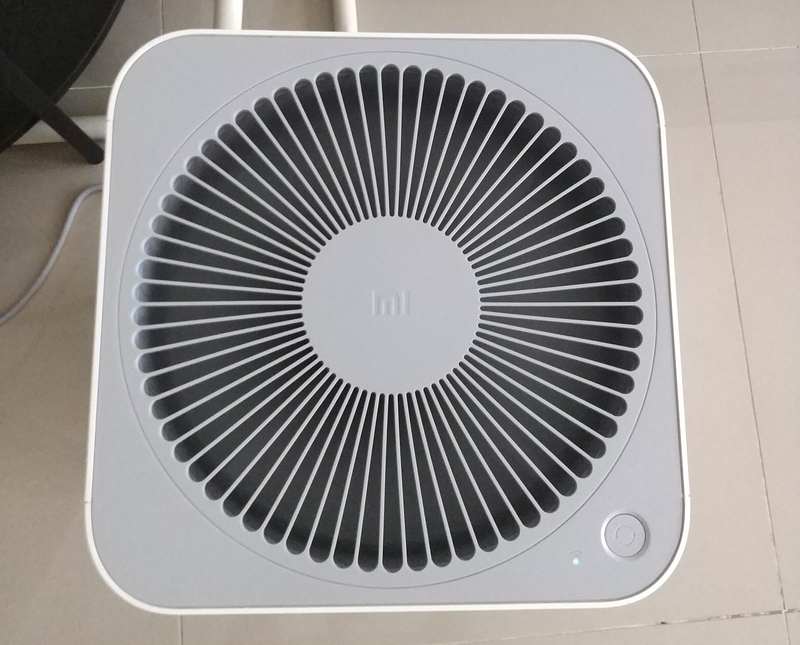 First, depending on where you order the Air Purifier 2 from, it will likely come with a Chinese manual. This presents a challenge for me as I can’t speak nor read Chinese. 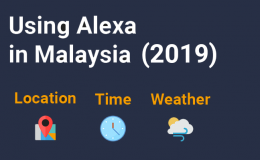 Luckily Xiaomi has also an English version available. Link to the English Manual pdf here. 1. Download MiHome app (Android or iOS). 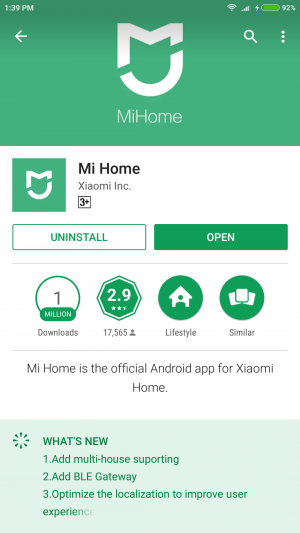 MiHome app on the Google Play Store. 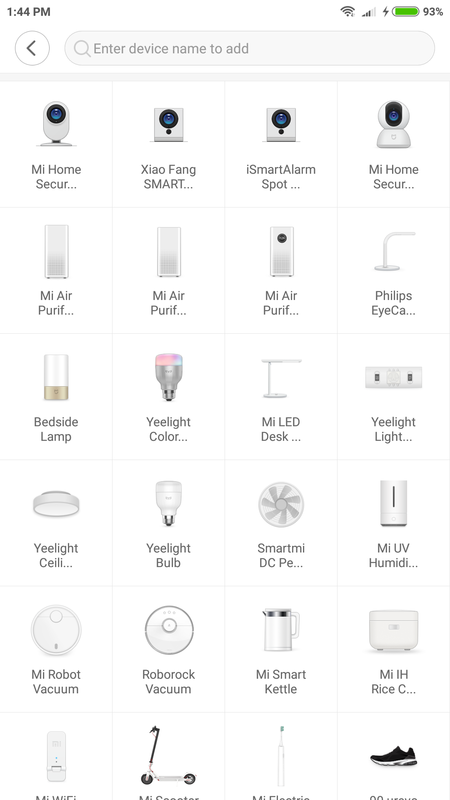 List of Xiaomi smart devices. 3. 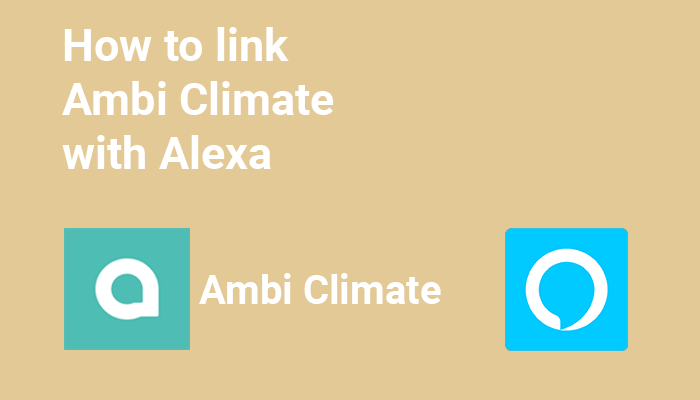 Once done pair the app with the air purifier. Launch the MiHome app > Select the ‘+’ icon on the top right > Scan or Add manually. Scan for the air purifier or add it manually. 4. 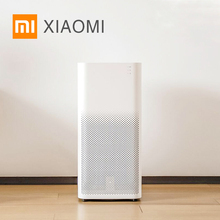 Once paired you will see the Air Purifier 2 on the Mi Home screen. The air purifier is now added. The most important component; The filter. Xiaomi has 3 filters for you to choose which I will list below. One of them is a HEPA filter and I will first briefly describe what HEPA means. Most air filters/purifiers in the market these days come with a HEPA filter. Depending on which source you’re referring to, you will find slight variations of the HEPA measurements. For this article we will refer to new European Standard EN 1822. EN 1822 defines a HEPA filter to trap 99.97% of dust particles that are 0.3 microns in diameter. Below is the measurement by EN 1822. 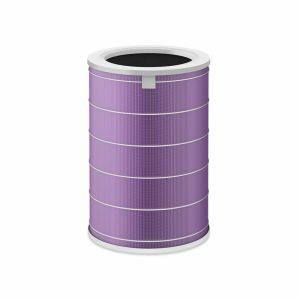 This was the filter that came with the Xiaomi Air Purifier 2. 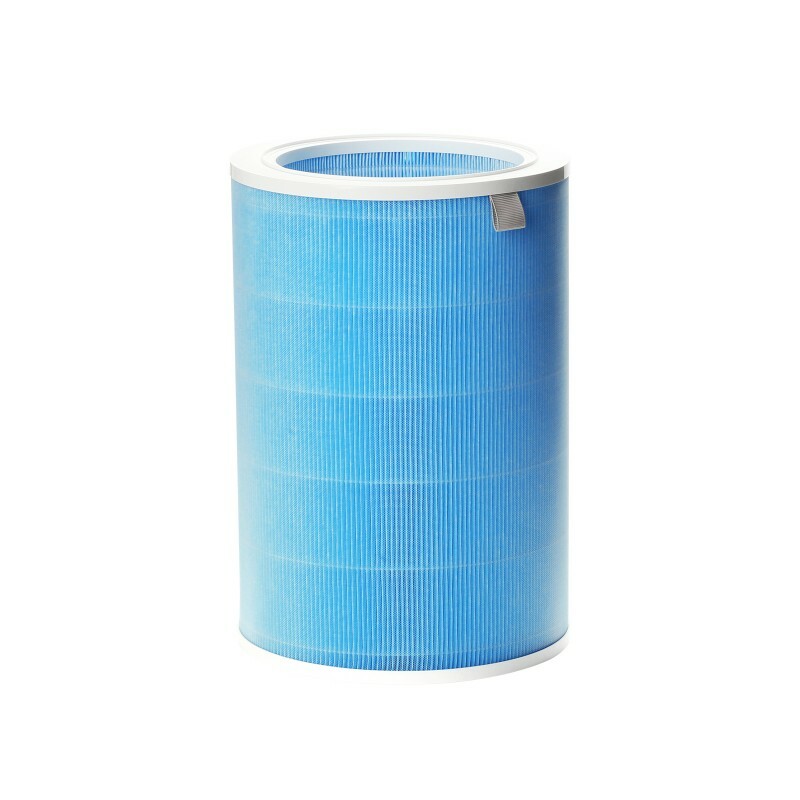 It is an EPA (Efficiency Particulate Air) filter that’s able to trap particles that’re 0.3 microns in size. Essentially you can consider this as the standard default filter. 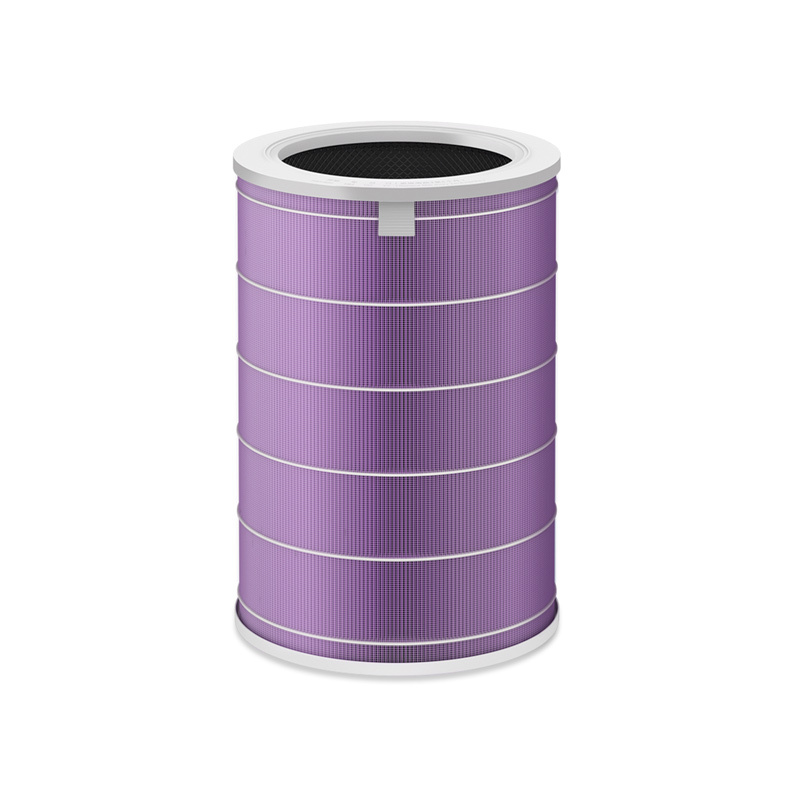 In short, if you aren’t fussy about filter grading, then you have 2 options; the Economic Version (Blue Colour) and the Antibacterial Version (Purple Colour). Get the Economic Version if you want a standard filter and Antibacterial Version if you want something that targets bacteria and dust mites. 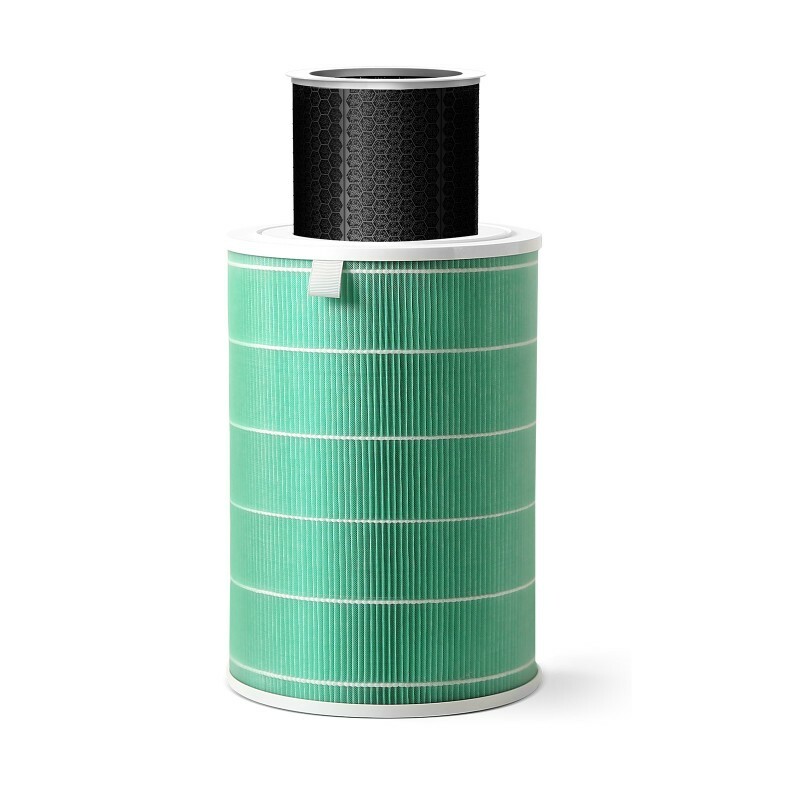 If you want a HEPA filter then the Formaldehyde/Enhanced Version (Green Colour) type is your choice. 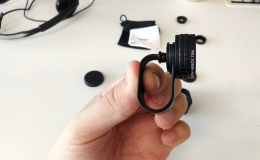 It’s worth noting that all 3 filters come with an activated carbon layer. The app’s interface is minimilist and straightforward. 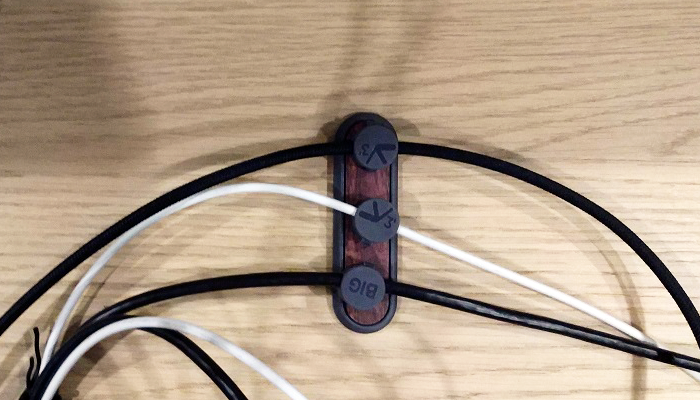 Once launched, you will be able to see environment conditions such as Temperature and Humidity. Also recorded is the Air Quality Index, Filter Running time (days and hours) and the amount of clear air delivered (cubic metres). 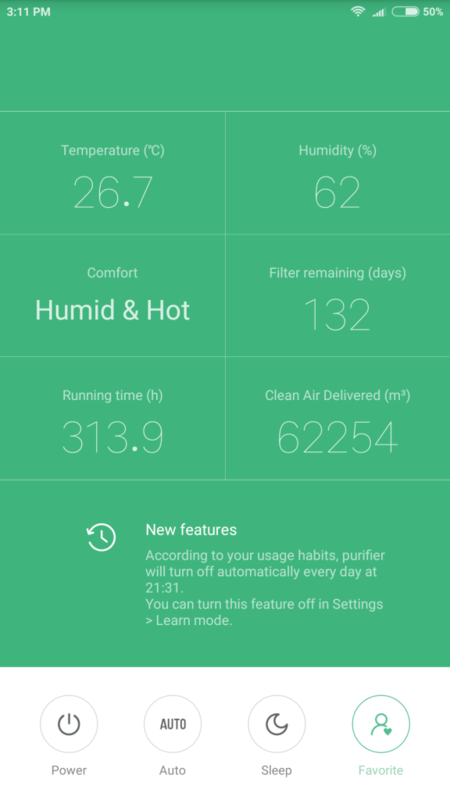 All these are made possible by the PM2.5 sensor that’s embedded in the Air Purifier. 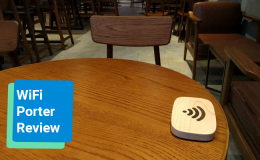 You’ll be able to see the air quality recording. Other environment conditions are also recorded. Using the Air Purifier 2 was simple. Once turned on, you can either press the physical Power/Function to toggle between modes or select them via the Air Purifier 2 app. There are 3 modes provided in the app; Auto, Sleep and Favorite. 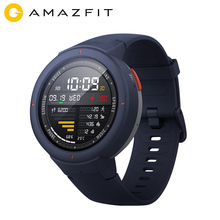 The auto mode automatically switches modes according to air quality condition. Which means if it detects that the air quality is getting worse, it will increase its work rate. Sleep mode should be used if you want a quiet night’s sleep. Which means it goes into low setting to minimize noise. As the air purifier is stationed in my living room, there wasn’t any need to use this mode. In this mode, you select the total coverage area of the room where you plan to place the air purifier. Which means you first need to measure the width(metres) x length(metres). In my opinion this is the best setting to choose because the air purifier will operate at a level which is relative to the area it’s covering. It should be that way as you wouldn’t want it to be on low setting while trying to cover a large area and vice versa. One great feature I like about using the app is the ability for creating your own automation task and scheduling. Let’s talk about the automation first. With the automation task, you can create ‘if-then’ statements. Pretty geeky i know. 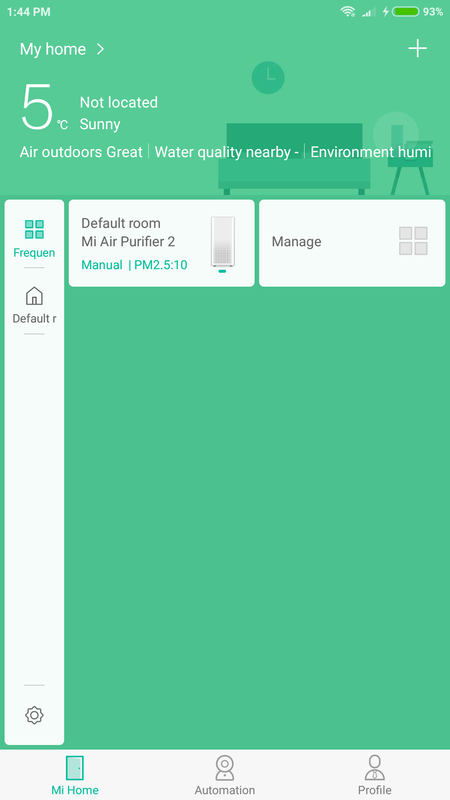 An example of automation you can create; If the air purifier detects the air quality at a certain level, the air purifier will turn on. Another funny one you can create; Trigger the air purifier when receiving a phone call. With scheduling, you can create multiple schedules for the air purifier to operate. Personally I have created a schedule to turn on 15 minutes before I reach home from work. Now many of you can’t wait to find out how’s the air quality like after using the Air Purifier 2. To set expectations right, I didn’t have any scientific testing method like the Clean Air Delivery Rate (CADR). Instead I only relied on the second best thing, my nose. I qualify for that because the area I live in is an industrial area and partly surrounded by factories. In addition, there’re also constant open burnings that result in short periods of haze in the middle of the night. So based on my sense of smell alone, I’m pleased to inform that the Air Purifier 2 works impressively well. There have been numerous occasions where the air outside was filled with either a burning smell or a chemical odour. After turning on the air purifier 2 for about 5-10 minutes, the air in the house was clean, fresh and to a degree crisp. This was of most importance not only to my health but also to our newborn. Plus the fact that I have a dog and cat, ensuring good air quality in my house was high priority. 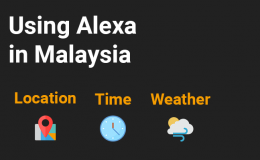 Xiaomi has got you covered with Amazon Alexa and Google Assistant integration. And both works like a charm. 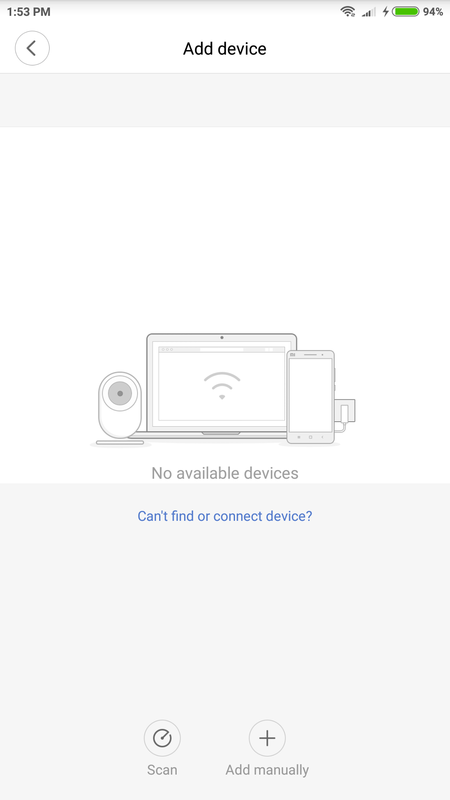 Just search for ‘Mi Home’ as the service to connect to when setting it up. 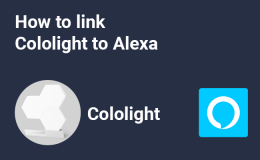 I did find that using the Google Assistant was slightly faster by 1 to 2 seconds compared to Amazon Alexa. 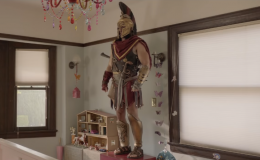 Some may be wondering how loud is the Air Purifier 2. Well, the level of sound emitted depends on how hard it works. The higher work rate, the louder it gets. Nothing too distracting to be honest, and after a while its just like white noise. 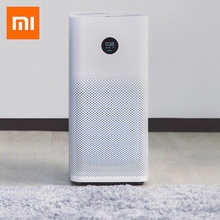 The Mi Air Purifier 2 can be purchased at Lazada here. 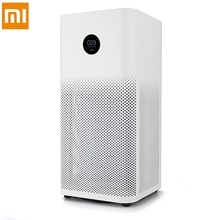 Instead we recommend to get the latest iteration which is the Mi Purifier 2S. 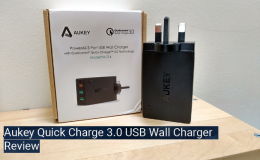 The additional feature for this updated model is that it has an LED indicator to tell the air quality. *Important* Do note that the 2S model has an NFC reader which will detect filters (which have an NFC embedded tag) for authenticity. 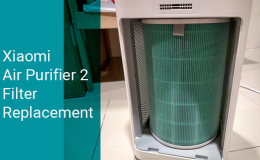 When purchasing replacement filters for the 2S, ensure that the online merchant mentions ‘2S’ as the supported models. 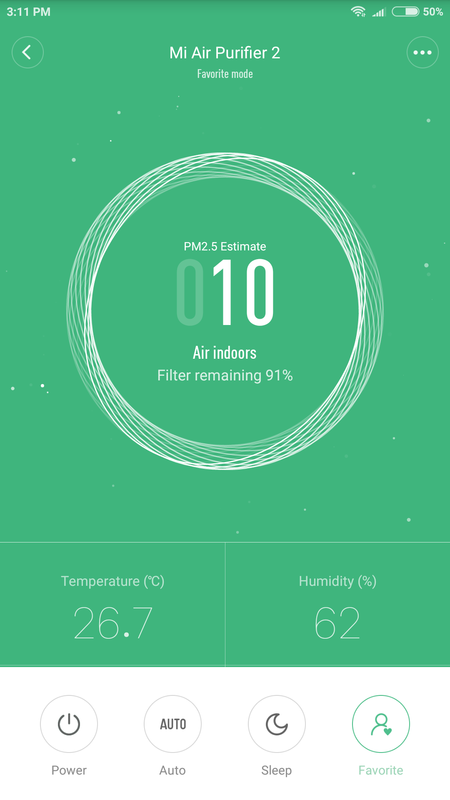 One of the main reasons I got the Xiaomi Air Purifier 2 was for the display of the air quality index. As far as I know, this is the only filter that has this ability. Other brands like Sharp in their mid tier to high end models only give indication whether the air quality is ‘Good’ or ‘Bad’. 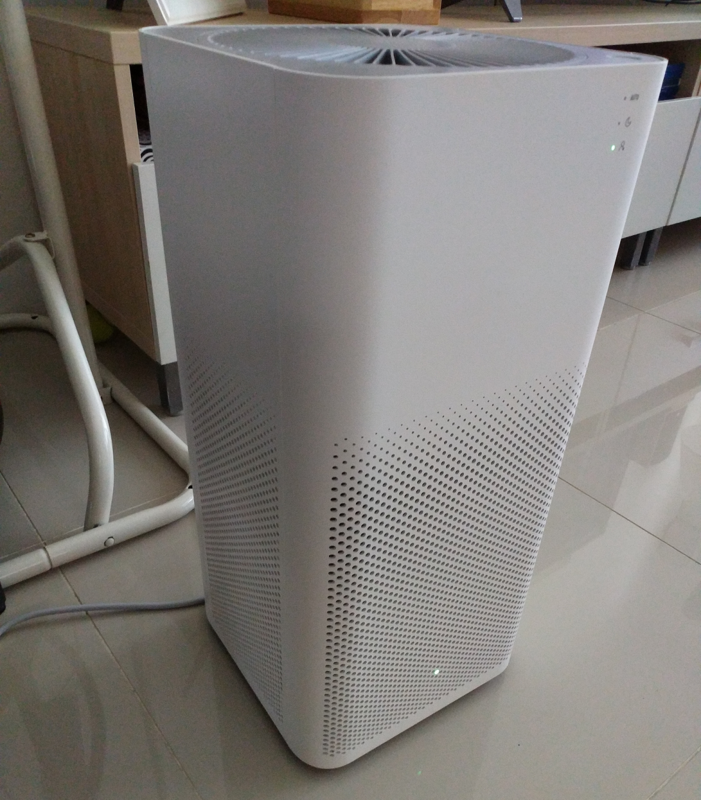 I’ve been using the Air Purifier 2 for about a month now and I’m very happy with it. The air in my living room remains clean and I’ve not been disturbed by the occasional air pollution in my neighbourhood. Another point to note; As much as it is an air purifier, don’t expect it to clear the air from heavy duty cooking that have ingredients like garlic or onions. You need an exhaust fan for that. 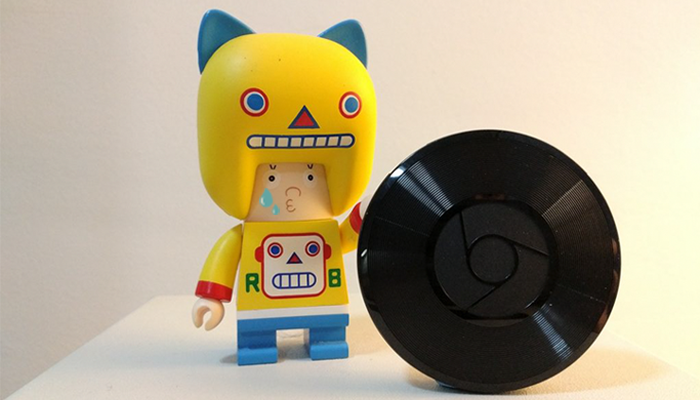 One minor gripe is that I would have hoped for another physical button to adjust the output level. 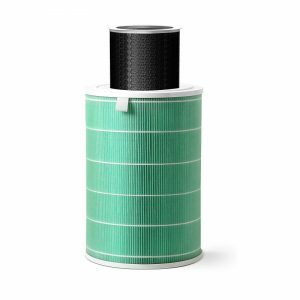 Other than that, the Air Purifier 2 is an elegant product that does its job well. 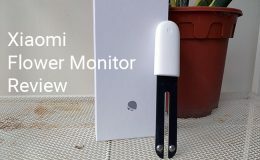 Highly recommended if you have a entry level air purifier and are looking to upgrade and also to try the Xiaomi brand.